Work has just started on the first phase of another major regeneration project in Hartlepool. 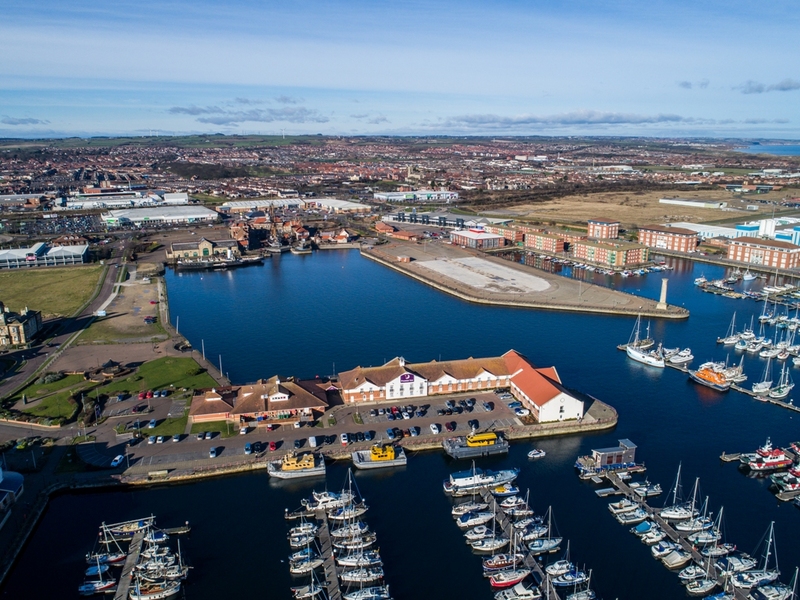 Hartlepool Borough Council plans to develop the Waterfront site as a landmark destination with a mix of leisure and visitor facilities including a Hotel, Water activity centre and new visitor attraction to complement the restaurants, cafes, bars and shops within the wider Hartlepool Marina area. Phase one of the project includes the development of a “Linear Park” around the boundary of the site including new footpaths, planting, seating and lighting. This will create a pleasant walking environment and viewing platform for the water based activities in the Marina, whilst the longer term development of the site progresses. The plans include a garden area around the Highlight to create a destination and more appropriate setting for the Memorial. The first phase proposals will provide an attractive setting to future development. Development work is continuing on each of the key projects identified within the Waterfront Masterplan utilising funding from the Tees Valley Combined Authority. The recently unveiled Tees Valley Combined Authority Investment Plan includes £20m for the Hartlepool Waterfront development. Further information about regeneration work currently underway in Hartlepool can be found here.